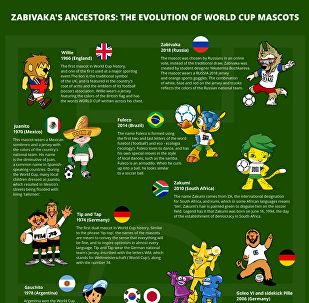 FIFA World Cup championships have presented different mascots: most of them embody animals which embody the character of the host country, but there are also symbolic persons and even inanimate objects. Nearly 30 countries have announced they were expelling Russian diplomats "in solidarity" with Britain's stance in the Skripal case. The majority of those countries are members of the European Union. The United States ordered 60 Russian diplomats to leave while some, like Luxembourg, limited themselves to a single person. Tens of thousands of civilians have already left Eastern Ghouta, a rebel-held Damascus suburb, through humanitarian corridors organized by Syria and Russia. At the same time, the country's armed forces are continuing to liberate the area from terrorists. 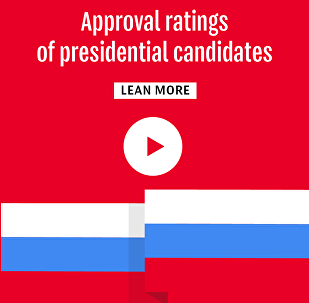 Only three days are left until Sunday, when Russians will go to the polls and cast their ballots in the forthcoming presidential election, choosing the name of the person who will govern the country for the next six years. On January 20, Ankara, jointly with forces from the opposition Free Syrian Army, launched Operation Olive Branch in Afrin in order to "clear" Turkey's border with Syria of the terrorist threat. The combat capability of the Russian Armed Forces has notably improved over the past few years. Great strides have been taken to build up the country's ground forces and navy, as well as to develop new types of arms, including hypersonic gliders and laser weapons. The Russian presidential election will be held on March 18, while the pre-election campaign officially kicked off on December 18, 2017. 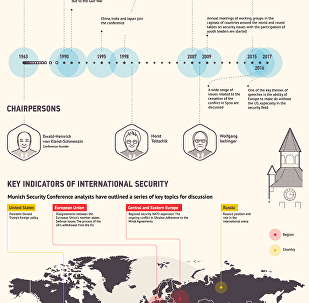 Germany hosts the 54th Munich Security Conference on February 16-18, featuring top political figures and security experts from all over the world. The World Economic Forum is a non-governmental organization, traditionally holding annual conferences in the Swiss mountain resort of Davos. The first year of Donald Trump's presidency ended on January 20. It is high time to draw the first conclusions and review which of his numerous campaign pledges he has succeeded in delivering over this period. The year 2017 saw the notions of blockchain, cryptocurrencies, bitcoin and the like dominate the global media. A large part of the digitalized world, has felt its breath taken away by the tumultuous vibes of cryptocurrencies. The Russian campaign in Syria began on September 30, 2015, when the country was on the brink of falling prey to terrorists once and for all, and ended on December 11, 2017, with order restored, Daesh defeated, and peace finally in sight. 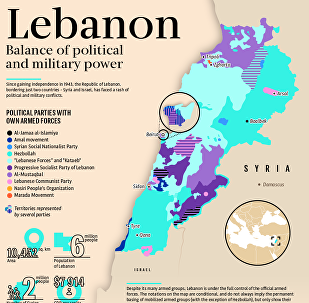 The Republic of Lebanon, which borders Syria and Israel, gained independence in 1947 from France and has since faced a rash of political and military conflicts. On December 6, US President Donald Trump recognized Jerusalem as Israel's capital despite international pressure. The decision triggered bloody clashes in Israel, mass protests all over the world and even prompted Hamas to declare the beginning of the third Intifada, that is, struggle of Arabs (mainly in Palestine) against the Jewish state. Three years have passed since the US and the EU decided to impose sanctions on Russia over its alleged involvement in the Ukraine conflict. Russia has repeatedly denied the accusations. The International Security Assistance Force (ISAF) mission was established by the United Nations Security Council and headed by NATO in December 2001. The initiative was aimed at training Afghan National Security Forces (ANSF) and rebuilding state institutions. It also participated in the war against the Taliban. 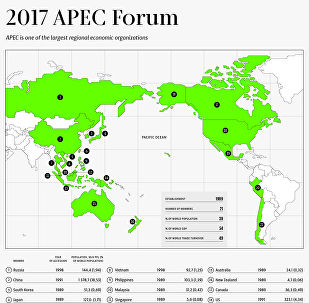 The Asia-Pacific Economic Cooperation forum was established in 1989. Uniting the representatives of 21 Pacific Rim economies, it has served as one of the leading global platforms for discussing the issues of economic growth, trade, investment and international cooperation. Syria has been engulfed in civil war since 2011, with government forces fighting numerous opposition factions and terrorist groups. The international community has taken a number of steps aimed at settling the crisis, including through talks in Geneva and Astana.